Are you struggling with overwhelm? Is it all getting too much? 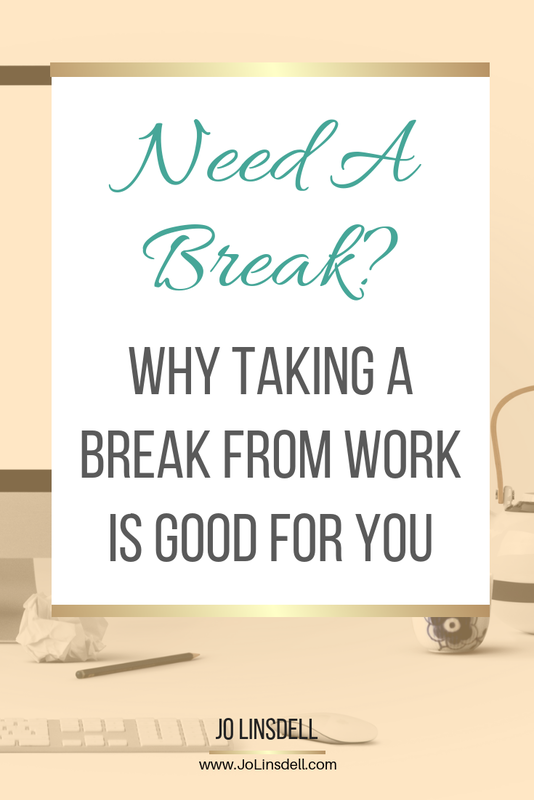 Do you feel like you need a break? It's common to get feelings of burn out. Sometimes it's due to the same old routine, other times it can be due to health problems. Maybe you feel stuck in a rut and can't seem to come up with new ideas or are just lacking inspiration in general. We've all been there. I've been there numerous times over the years. In fact, I started this year asking myself questions like "What am I doing?" and "Why am I doing this?" Yep, I was in a creative hole. The winter season brought with it a wide variety of health problems that forced me to take some time off. 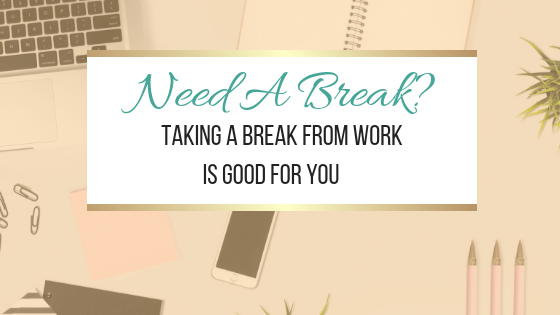 At the start I was stressing over not being able to get any work done... and we all know how helpful stress is to our health. So anyway, there I was, already ill and looking after my poorly children and stressing about whether or not I'd posted to my blog, checked my emails, or done any of the hundreds (I'm not exaggerating) of tasks I usually have on my to do list. I reached a major low and basically it was all too much. That's when I realized something needed to change. I decided to turn my negatives into positives and used my sleepless nights to think about what I really want, and what I need to do to get there. The first step was to get all those thoughts out of my head and on to paper. Doing a brain dump is so liberating. Seriously, give it a try. I started asking myself what I really wanted to be doing with my time, how much I wanted to do, what I wanted to make time for outside of work, and what would mean I could be happier, stress-free, and motivated. Just writing these things down made me feel more motivated. I started to get excited about what I could do. A plan of action was already starting to form in my head. By taking just a few minutes to declutter my thoughts I was already feeling more empowered and focused. One thing that became clear straight away was that I need to do things I'm passionate about. I don't want to just go through the motions. I want to be excited about everything I do. But what if I'm passionate about more than one thing I hear you ask? That's me! I don't want to be chained to one small niche. I don't want to do just one thing all the time. It's just not me. My next step was therefore to write down what I'm passionate about. What I like doing? As Marie Kondo would put it, "Does it spark joy?" I like helping people. I enjoy sharing my knowledge with others, and seeing them get results. It's one of the big reasons behind why I organise the Promo Day conference every year. I find joy in seeing others win, knowing I played a little role in making it happen. Whether through writing, illustrating, or graphic design, I love being creative. I also find it a great stress relief. Something I like doing that lowers my stress levels... that's a definite win. Next I took a look at my skill set. What am I actually good at? What do I want to be good at? Life is a constant learning curve. Everyday is a new possibility to try something new, or to improve on something we already know. This step in my process was all about simulating new ideas, and learning some new skills. So I took to Pinterest and made notes about the sorts of graphics that made me want to pin them and click through to read the article. I researched landing pages, sales templates, and web design. All the time making notes about what I liked and didn't like about the way others were doing them. I watched some webinars... and you guessed it, I took a LOT of notes. The more I learnt, the more I wanted to learn. As my ideas started to become clearer in my mind I added to my brain dump pages of my notebook. I was feeling more and more positive, inspired, and motivated. Good bye creative hole! With all the notes I'd made I started to put together a solid plan of action. With each step noting the what, how, and why. I now not only had a clear idea of where I'd been going wrong, what I wanted to do, and how I was going to do it. I even had lists of the areas I want to study more, and the skills I want to improve on. The thought of working again was no longer stressful. I felt empowered, and motivated to do it. I actually wanted to get back to work. I often struggle with my health. My immune system has a hard time dealing with all my allergies and other issues, then throw in two kids to the mix who bring home all the wonderful viruses doing the rounds and BAM! Sick days! This year has been particularly tough. You see, the problem is that when you get ill it weakens your immune system and that means it's even easier to catch the next illness. It turns into a cycle that feels like it never ends. Well, I've well and truly had enough of being ill. It's time to break the cycle. As excited as I am about my new plan of action, it makes no sense to rush back to full time work. I need to give myself time to recover properly. Whilst going through this whole process, one of the things that became clear to me is that I was doing too much. I was creating stress for myself. I didn't have a clear plan of action, and in some cases, I didn't even have a clear reason why I was even doing it. When you work from home, it's easy to let work take over. Giving myself business hours was my first step, and something I should have done a long time ago. How many hours did I really want to work each day? How much could I work without it becoming stressful? What else did I want to make time for? One of the great things about taking some time off from work was that I got to do some of the things that I'd wanted to do for a while but just hadn't had the time to do. Reading is obviously one of my favourite hobbies. I read a lot of books to review. I'm a huge fan of Net Galley but, if you've ever used the site yourself I'm sure you already know, it's super easy to let your TBR list get out of control. This leads to overwhelm and stress... and there we are again back in the circle. It was great to step away from my to do list and read just for the fun of it. Exercise is something I've always enjoyed. Being ill doesn't make it easy though. When you're not feeling well it's easier to curl up under the covers or sit around on the sofa. As soon as I was starting to feel a bit better I decided to start inserting some gentle exercise into my day. Stretching, walking... nothing too stressful. Just a bit of movement to ease my way from coach potato to fit chick. The more exercise I was able to do, the better I felt. I decided to set myself some daily goals. Stuff like "do 100 squats" or "walk a least 6500 steps". Just a few minutes a day and I was already seeing results, both physically and mentally. Fitting in a least some movement in each day is super important especially if you do work where you're sat in front of a computer most of the time. I normally don't watch much TV. Any free time I have in the evenings is usually spent reading or working. During my break I signed up for Netflix and have been enjoying watching some series and films. It was great to just switch off from everything and relax. I'm not saying I want to sit around all day watching TV but it was nice to catch up with some shows and actually watch some films. Some even sparked some new ideas for future projects. Anyway the point is taking a break and stepping back to look at the bigger picture has done wonders. I now have a concrete plan for a more balanced, happy, and healthy life. My new business plan will definitely bring in better ROI, and I'll be doing only the things I actually enjoy doing, whilst also making room for quality personal time. Have you been feeling overwhelmed and stressed? Do you find yourself asking questions like "What am I doing?" and "Why am I doing this?" Do you have ideas for your blog, or author brand, but don't know where to start? Get in touch and I'll help you put together a plan of action to get you back on track. Love the new look as well as the excellent and thoughtful suggestions! Glad you like it DJ :) I think overwhelm is something a lot of people struggle with so hopefully these suggestions will help others. oooh I totally need to do a brain dump - and upgrading my skills is something I should really be working on! Hi Lena. Glad you liked the post. Brain dumps are new favourite thing to do. It feels so good to just get everything out of my head and down on paper. Having it in a list really helps get a better view of the bigger picture too. When it comes to upgrading skills, sometimes it's best to start with small things e.g. if you wanted to learn how to build websites you would start with learning how to create the html or css for one element. Trying to learn everything all at once would just block you. It's impossible to do it all. A small step every day or every week is however totally doable. I love this post! I'm not typically a New Years resolution person, but this year I decided to focus on self-care. Self care is so important but not something most people give a priority to. Creating a balanced lifestyle results in being happier and healthier overall. Working more hours also doesn't necessarily mean you do more work either. In fact I've found I'm getting much more done in less time with my new plan of action. Thanks. So glad you like it. I wanted to clear the clutter and give everything a more polished look. Ugh, I wish I could take a break from my real job! But I totally feel this, I was feeling stuck for such a long time with blogging, and had to take a step back for a while to reevaluate things. Now I've rebranded and am feeling more inspired than ever! I also absolutely agree with the being healthy and taking care of yourself element! Hi Mandi. Glad you're feeling more inspired with your blog now. Sometimes taking a step back can do wonders. Thanks Megan. I'm doing much better now thank you. Health should definitely be a priority. It's hard to get things done when you're ill all the time.